A well known design inspired on Magritte's pop art artwork. You can decorate your Mac with this cool design from our collection of MacBook stickers. Make use of the Apple logo in a fun way and make your Mac stand out from the rest. Give your Mac a touch of your own by personalising it with this decal. 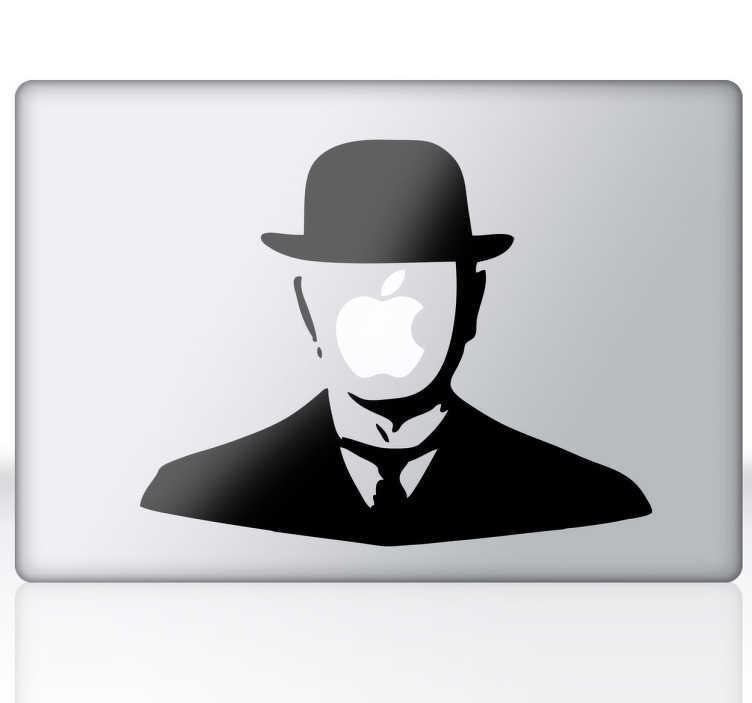 This Magritte theme decal for Macs is easy to apply and remove. Available in over 50 colours and made from high quality vinyl. *Sizes may vary depending on the model of the device.